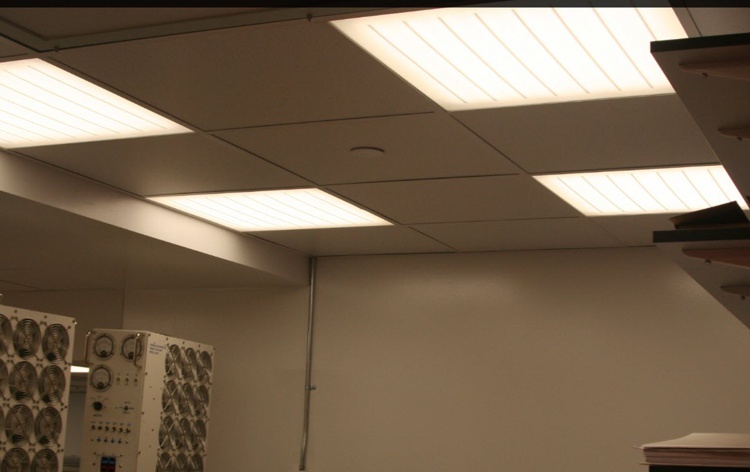 Shallow Dimensions - only 1 1/4"
Made and Engineered in the USA, the LED ceiling tile is an advanced, yet simple, elegantly engineered ceiling light panel designed to fit a standard 2x2 ceiling grid or can be hung alone. The design will brighten any commercial or residential area while saving energy. 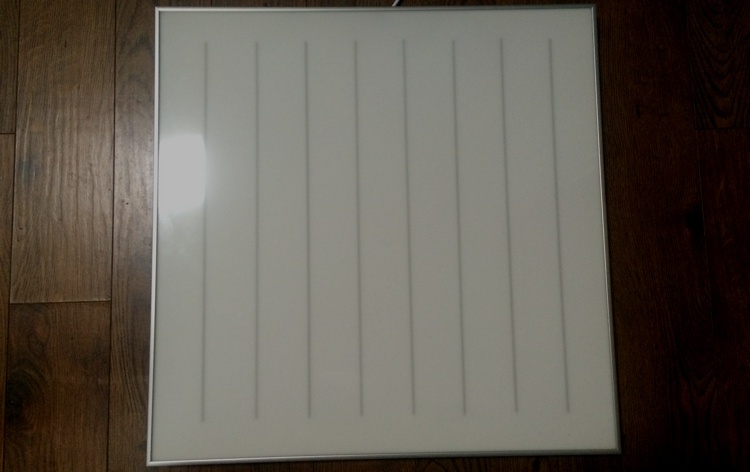 This power efficient LED troffer light panel deliversbright, uniform illumination with zero maintenance for many years. This patented U.S. design is super light weight, installs easily in suspended ceiling grid systems, and operates silently with almost no heat generated. Each KwH of electricity saved by an LED ceiling tile prevents 1.3 pounds of CO2 from being spewed into the atmosphere. 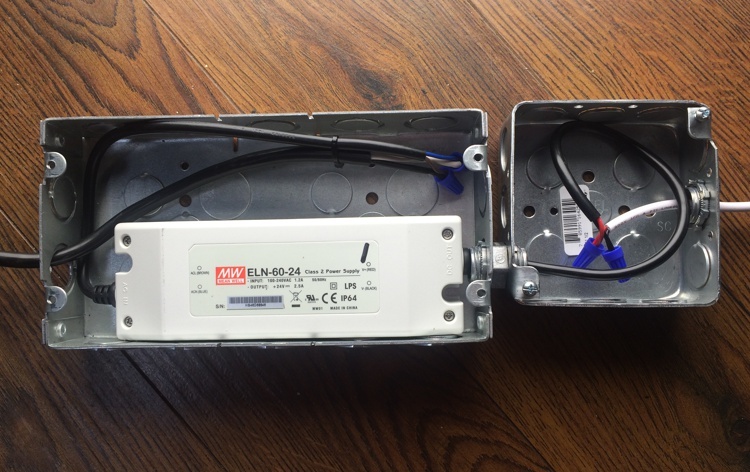 Product packaging contents include: One Light Panel 2x2, Universal Input Power Supply, Shielded Power supply enclosure / AC junction box, and Installation Instructions.